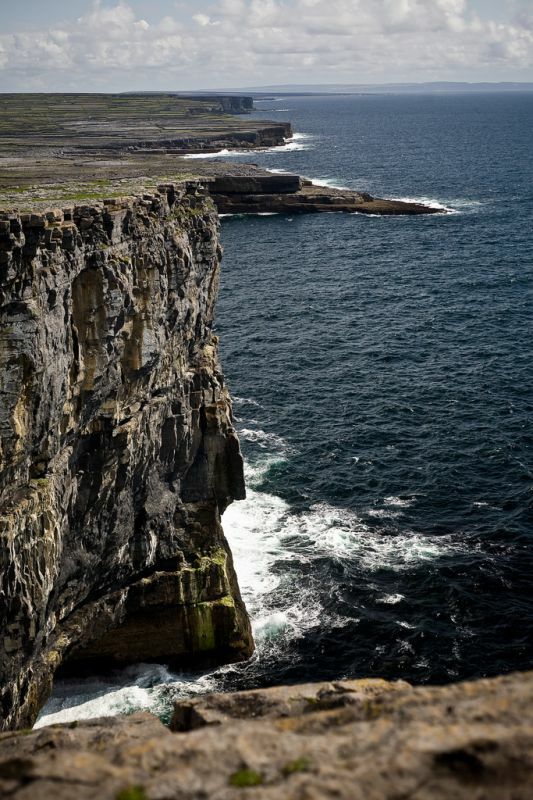 Just about as close as I’m willing to get to the edge to photograph the sheer cliff face on Inishmore island. Some people were far braver, dangling various body parts over the edge. I’d rather not leave it to chance (and a strong gust of wind) to decide if I live or die. Thanks all the same. I’ll save myself from a severely gravitational death and back away to peruse other things in the immediate vicinity that are clearly all kindsa fantastic.